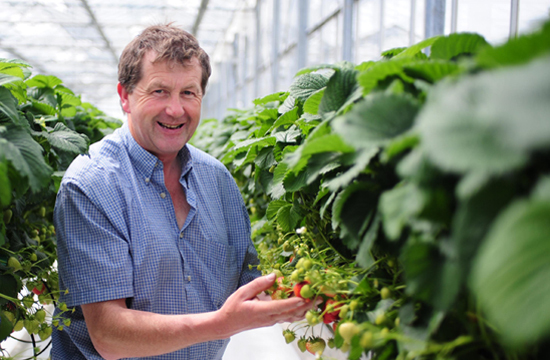 John has been growing a wide range of soft fruit at Inch, Gorey in North County Wexford for the past 15 years. He has been a full time producer and member of the Bord Bia Quality Assurance Scheme since 1996. 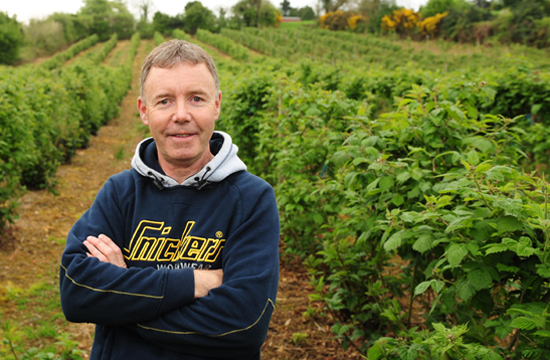 He is the current Chairman of Wexford Fruit Producers Ltd.
John is totally committed to ensuring that Wexford Soft Fruit takes pride of place on retailer’s shelves for the duration of the growing season. The Kearns family began growing strawberries in the mid 1950’s for Chivers Jam. 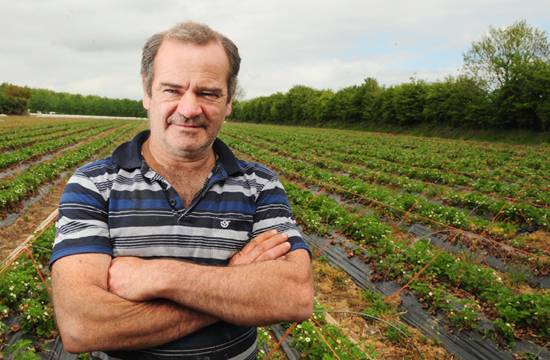 Since then they have developed into one of the largest strawberry producing farms in Ireland. They supply strawberries for seven months of the year and raspberries for 2 months of the year to the leading supermarkets in Ireland. They are also members of the Bord Bia quality assurance scheme. Danescastle Fruit Farm is situated south of Wexford town, in the historical village of Bannow. They have been growing and supplying fruit to the multiples for the past 13 years. They are members of Bord Bia quality assurance scheme, which they were awarded regional winners. 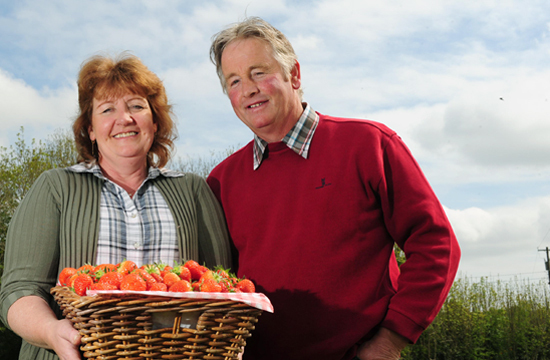 A family business, Danescastle Fruit Farm supply Wexford strawberries and raspberries to the Irish market for 8 months of the year. They have been members of the company since 2002. Situated at the foot of the beautiful Blackstairs Mountain in Wexford, Philip’s family has been involved in fruit growing for the last two generations. Growing blackcurrants and strawberries for jams and juices and redcurrants for the fresh fruit market, he now however concentrates solely on strawberries for the multiples and the fresh market. A member of the group since its foundation, Philip is a member of the Bord Bia Quality Assurance Scheme.